Best Western Rewards has launched new promotion for stays in select countries in Asia. Members can earn double points for up to three times for stays between August 1 – October 31, 2018. You can access and sign up for this offer on Best Western’s website here. Good that Best Western Rewards remembers their members in Asia too by extending this double points offer. Best Western Rewards® members (“Members”) who (a) register for the Promotion at a Best Western® website between August 1, 2018 and October 31, 2018 (“Promotion Period”); (b) during the Promotion Period, make a reservation via a Best Western website† or by calling the Best Western reservation number, for an eligible stay* that will occur during the Promotion Period at a Best Western branded hotel in Indonesia, Japan, Laos, Malaysia, Myanmar, Pakistan, Philippines, Thailand, or Vietnam; (c) provide their Best Western Rewards account number at the time of booking; and (d) complete the eligible stay during the Promotion Period, will earn an award of Best Western Rewards bonus points equal to the standard amount of Best Western Rewards points that will be received for the eligible stay. For the avoidance of doubt, such a bonus points award plus such a standard amount will equal double the Best Western Rewards points for the eligible stay. There is a limit of 3 bonus points awards that may be earned through this Promotion. Best Western Rewards enrollment/membership and Promotion registration is required prior to the first booking. Bookings completed prior to Best Western Rewards enrollment/membership and/or Promotion registration will not be eligible for a bonus points award. Best Western Rewards enrollment may be completed by visiting a Best Western website. No extensions, substitutions, or replacements available. Promotion is not valid with any other offer, promotion, or discount. Promotion is subject to cancellation or change without notice. Please allow 2-3 weeks after the eligible stay(s) is completed for posting of bonus points. Any bonus points award is in addition to the standard Best Western Rewards points earning structure. 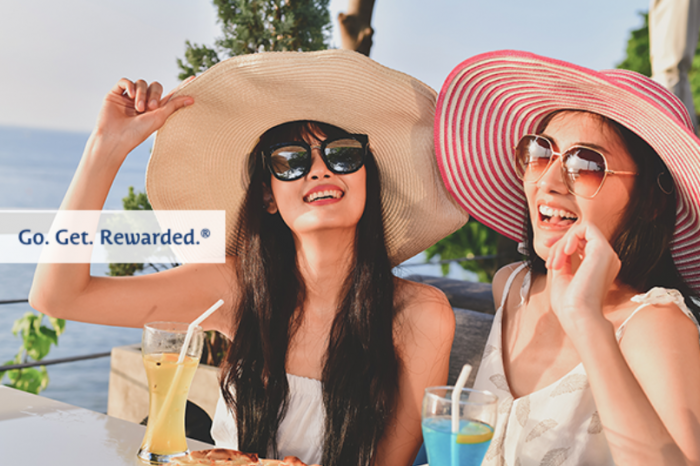 All Best Western Rewards program rules apply. Visit a Best Western website for complete program terms and conditions. †Bookings made on the Best Western mobile website or application will also be eligible for a bonus points award. *An “eligible stay” for the purpose of this Promotion is defined as any stay (i.e., one or more consecutive nights at the same Best Western branded hotel) with the exception of a stay booked through an online travel agency, a stay booked through a tour operator, and a stay booked at a special discounted rate (see Best Western Rewards program rules for further information on eligibility criteria). Only one (1) check-in/check-out permitted per eligible stay. Eligible stays which take place during the Promotion Period but which have a check-in or a check-out date that overlaps the beginning or ending of the Promotion Period, will be counted towards the Promotion. Next articleMarriott Rewards Combined Award Chart & All Suite SPG Properties?